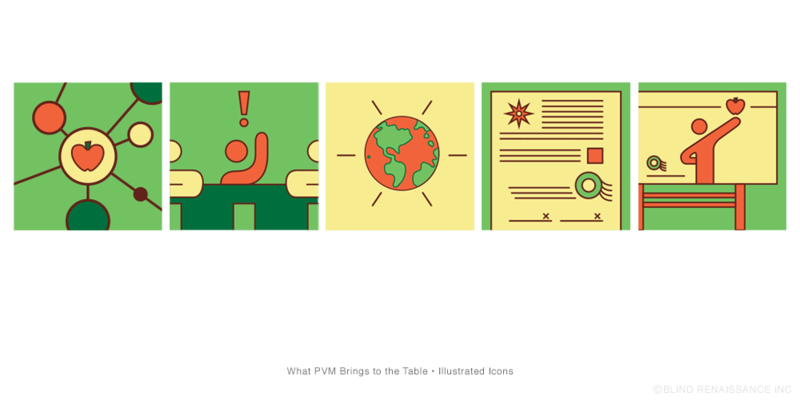 PVM Infographic — Blind Renaissance, Inc. Many great stories are told through illustrations. 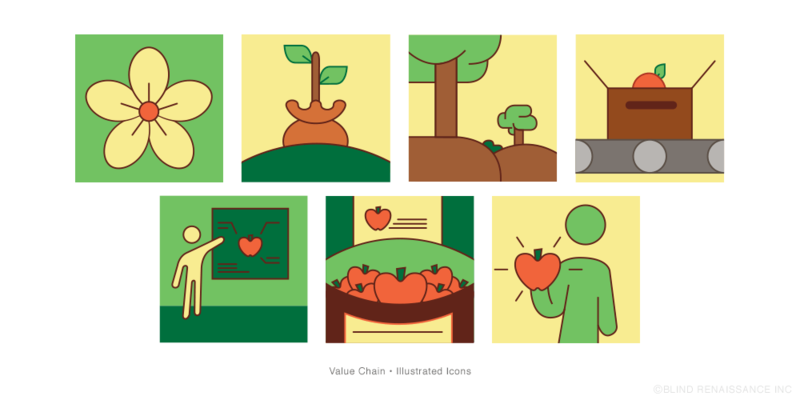 BR used this concept to develop flat graphics to represent each stage PVM follows to introduce the best new fruits into the market. Not only does PVM work with growers, but they also have to invest time in research and getting fruit to market. To show the many stages on a single flyer, a grid was developed to contain certain information and imagery. BR began with a round of sketches to determine a style for the artwork. Once a set of icon sketches was completed, they were converted into flat graphics. 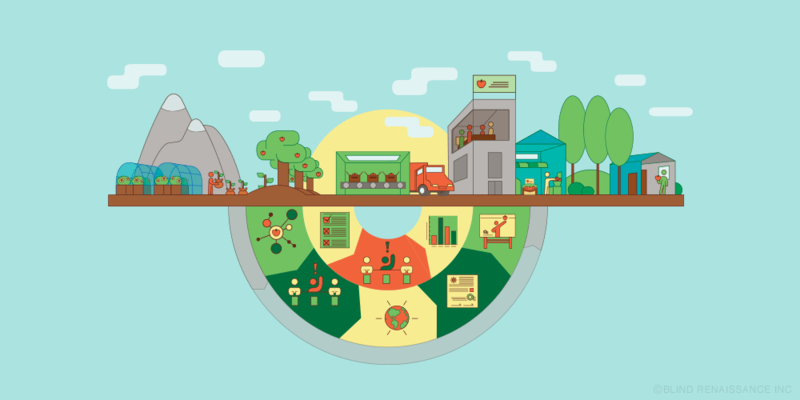 From there, the central graphic was conceptualized using ideas from the specific icons. 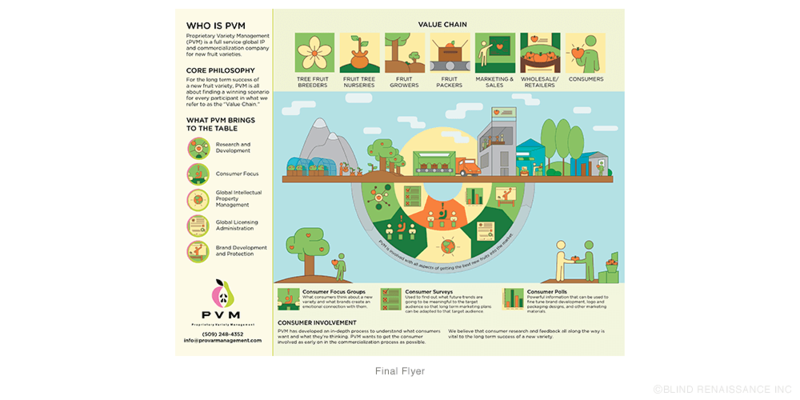 The final artwork and descriptions show how PVM is always thinking and growing in their initiatives. BR has also helped PVM with their new apple brand packaging. View our Cosmic Crisp™ and Sunrise Magic™ case studies.